Families looking for assisted living in Iowa (IA) have a wide array of communities to choose from, since estimated that there are more than 30,000 assisted living communities serving seniors across the U.S., and over 264 statewide. The state is also home to a rapidly growing number of senior citizens, with adults over 65 making up an estimated 17 percent of the population. A resident in an assisted living community in Iowa will pay $3,847 per month on average. As of 2018, our family advisors have helped more than 2,547 families in Iowa find the right assisted living community. 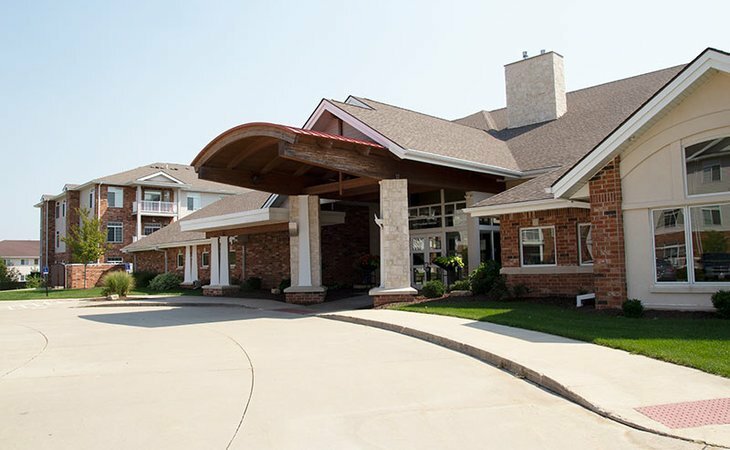 See more than 551 authentic verified reviews of assisted living communities across Iowa from residents and their loved ones. Browse our comprehensive directory of more than 264 assisted living communities statewide for photos and information about amenities, costs and more. 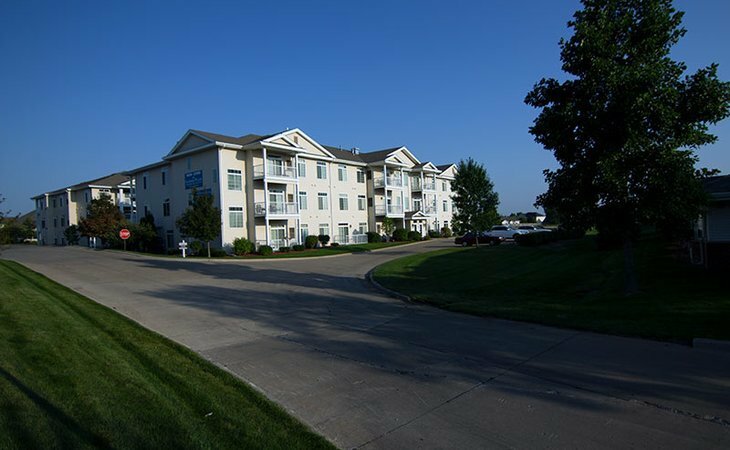 Genworth lists the average cost of a private, one bedroom unit in an assisted living community in Iowa as $3,962. This places Iowa on the lower end of the scale at about $0 under the national average, and about $100 lower than the median cost of assisted living in nearby states. When estimating the cost of assisted living, it's important to know that average prices can differ significantly between various parts of Iowa. For example, assisted living rates in areas such as Dubuque are at least $200 more than the state average of $3,962, but in areas like Rest of State, you're saving on average $700. The most affordable region in Iowa for assisted living is Sioux City at $3,141. In Iowa, assisted living facilities are officially known as assisted living programs. These facilities house three or more seniors who need assistance with up to three activities of daily living. Medicaid is a joint state and federal program that provides health coverage for low-income seniors. Medicaid pays for nursing home care, but for those who prefer to live in an assisted living facility, Medicaid sometimes pays for assisted living if the care can be acquired at a lower cost than in a nursing home. This is done through the Medicaid 1915 (c) Elderly Waiver program. To be eligible for Iowa Medicaid, an individual must be at least 65 years old and both a resident of Iowa and a citizen of the United States. Additionally, they must be determined by the Iowa Medicaid Enterprise to need nursing or skilled nursing level of care. There are also income and asset limits that must be met. This Medicaid waiver is available in all counties in Iowa. It is not an entitlement program, meaning that there are only a certain number of slots available. If all of the slots are filled, then qualified applicants are placed on a waiting list. To apply for Medicaid, a senior should contact their county’s Iowa Department of Human Services office. Supplemental Security Income – Category G is a cash benefit that may be paid to low-income seniors who meet eligibility guidelines. Along with the benefit paid out by the federal government, Iowa also supplements the cost of AL to further assist seniors. This cash benefit can be used to help cover the cost of assisted living, as well as other basic needs like food and clothing. To be eligible for the program, an individual must be a citizen of the United States, at least 65 years old and meet strict income and asset guidelines. To apply for SSI-G, a senior should visit their local Social Security office in person. A list of SSI offices in Iowa can be found here. IMPORTANT NOTE: Not all Iowa assisted living facilities are permitted to accept payment from these programs. Before applying for residence, a senior who intends to use financial assistance to cover the cost of their care should confirm that the community they choose is authorized to accept payment from these programs. Under the Older Americans Act, the Iowa Department on Aging has appointed six Area Agencies on Aging. These agencies provide seniors and their families with information on available services, provide referrals and coordinate support services like home-delivered meals and transportation services. The Iowa Department of Veterans Affairs has a staff of accredited benefits specialists for both state and federal VA benefits. They can advise senior veterans and their families of what VA benefits they may be entitled to receive, including pension, disability compensation and help with paying for assisted living. A benefits specialist can be reached by calling the IDVA office at 515-252-4698 or 800-838-4692. Social Security offices are operated by the federal government and are where seniors can find out what benefits they are eligible for and how those benefits can be used. Here, seniors can also apply for programs like Medicare and SSI-G. The Office of the State Long-Term Care Ombudsman is an independent entity within the Iowa Department on Aging that works to protect the safety and interests of seniors who live in long-term care facilities, including assisted living. The ombudsman resolves complaints made by or on behalf of seniors who reside in an assisted living facility and advocates on behalf of seniors for quality care. Long-Term Ombudsman serve according to your county of residence and phone numbers and emails are available on the Iowa Department of Aging website. Assisted living facilities in Iowa are required to assess a resident’s physical, cognitive and health status at regular intervals or when any change in condition becomes apparent. If a resident requires personal care or special health services, a multidisciplinary team must be involved in creating the resident’s service plan. In some cases, a managed risk agreement must be negotiated between the facility and the resident. This is a legal agreement between the facility and a resident or their power of attorney which states that the resident or responsible person shares responsibility with the facility to identify changes in care needs. Assisted living facilities in Iowa are not permitted to admit or continue to house residents who need total assistance with four or more activities of daily living for more than 21 days. Additionally, assisted living facilities cannot accommodate residents who are bedbound; would require two-person assistance to stand, transfer or evacuate the facility; have an uncontrolled mental disorder; are addicted to a substance; have chronic unmanageable incontinence; require skilled nursing care for more than 21 days or otherwise meet the program’s discharge criteria. In some cases, if a resident needs skilled nursing care for more than 21 days, the facility may request an exception to the rule from the Department of Inspections and Appeals. An exception may be granted if the resident makes an informed decision to stay in the facility and the facility has the staffing to meet the resident’s needs without compromising the care and safety of other residents. Assisted living facilities in Iowa must provide health-related services and assistance with the activities of daily living. They must also provide around-the-clock access to a personal emergency response system. 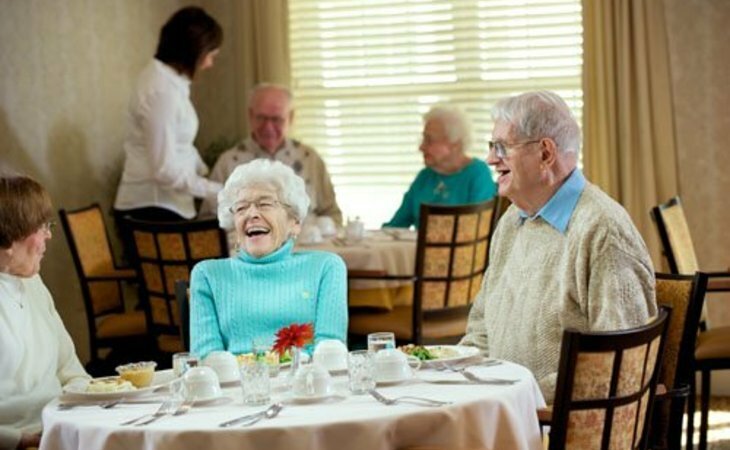 Assisted living facilities are required to provide at least one hot meal a day. The meals can be provided by the facilities themselves, or they may make arrangements with other community providers for meal availability. All meals must comply with the guidelines published by the National Academy of Science’s Food and Nutrition Board. If the facility provides therapeutic diets, then the diet must be prescribed by a health care provider, and a licensed dietician must be available to write and approve the resident’s menu and review how the food is prepared and served. Services provided by assisted living facilities in Iowa are covered by the Medicaid 1915 (c) Elderly Waiver program, which is administered by the Department of Health and Social Services. 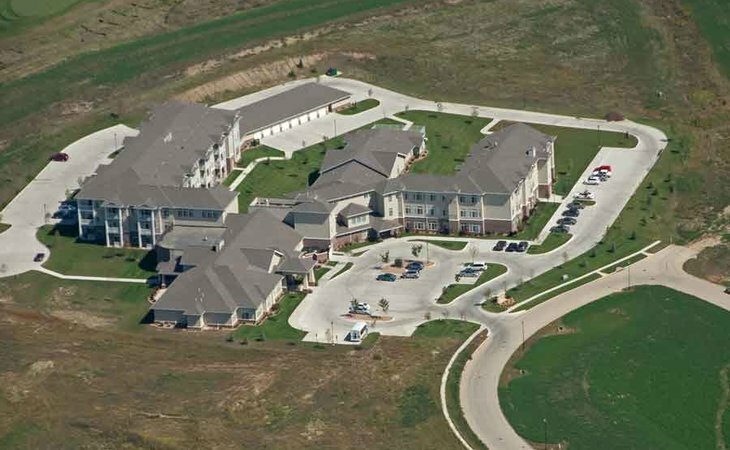 Iowa does not require that assisted living facilities have apartment-style units. Resident rooms must be either single- or double-occupancy and have a private bathroom outfitted with a sink, a toilet and a tub or shower. Units are not required to have kitchens. Residents who can self-administer their medications are permitted to do so, and the facility's staff is able to provide medication assistance as needed. Nurses can delegate medication administration services to unlicensed staff members. In Iowa, administration includes reminding or prompting the resident to take their medication, opening the container with the resident’s verbal permission, reading the instructions and information on the label and transferring the medication from its original container to an appropriate dispensing container. If a facility administers medication or provides health-related care, then an RN must be available to monitor each resident who receives medication administered by the facility to ensure that the medication is taken as directed and that there are no adverse reactions. Monitoring should occur on a quarterly basis or after a resident experiences a significant change in their health or condition. Assisted living facilities in Iowa are required to hire a program manager who oversees the facility’s day-to-day operations and staffing. If the facility administers medication, an RN is required to delegate medication administration, monitor how medications are stored, ensure that physician orders are up-to-date and monitor residents’ health. Personnel is required to provide direct care for residents. While Iowa has no minimum staffing ratios, the expectation is that a facility has enough personnel on hand to ensure that residents’ needs are met at all times. All program managers that are hired after January 1, 2010, as well as delegating nurses, are required to complete and assisted living management or nursing course within six months of their hire date. All personnel must receive training on the facility’s fire safety and emergency procedures. Before hiring a prospective employee, the manager must request a criminal history check from the Department of Public Safety and a dependent adult abuse record from the Department of Human Services. If the applicant has been convicted of a crime, their eligibility for hire is left to the discretion of the DHS. All staff members of assisted living facilities in Iowa are mandated reporters, regardless of whether they work directly with residents. This means that if a nurse or personnel members sees or suspects abuse, neglect, mistreatment or exploitation, they are required to report it. Complaints can be made to the Iowa Department of Inspections and Appeals, Health Facilities Division or to the Iowa Office of the Long-Term Care Ombudsman.